At Boston’s Pope John Paul II Park, in Dorchester, cyclists can hop on the Neponset River Greenway  to enjoy scenery—from beaches and marshlands to parks and old industrial sites—and to explore neighborhoods that are rich with historic legacies and cultural diversity. The greenway runs north of the park about a half a mile, offering digressions to the swimmable Tenean Beach and the Port Norfolk residential enclave. But for a nearly five-mile trip, cyclists should head south. The trail snakes through Boston’s Adams Village and Lower Mills sections, crosses into Milton Village, and ends in Mattapan Square. It’s a car-free zone of relatively flat terrain, so adults and kids can easily do it while hunting for landmarks (murals and wildlife), and destinations (playgrounds and a wading pool). Heading out, the trail soon passes the Neponset River Reservation,  offering walking paths and marshland views. 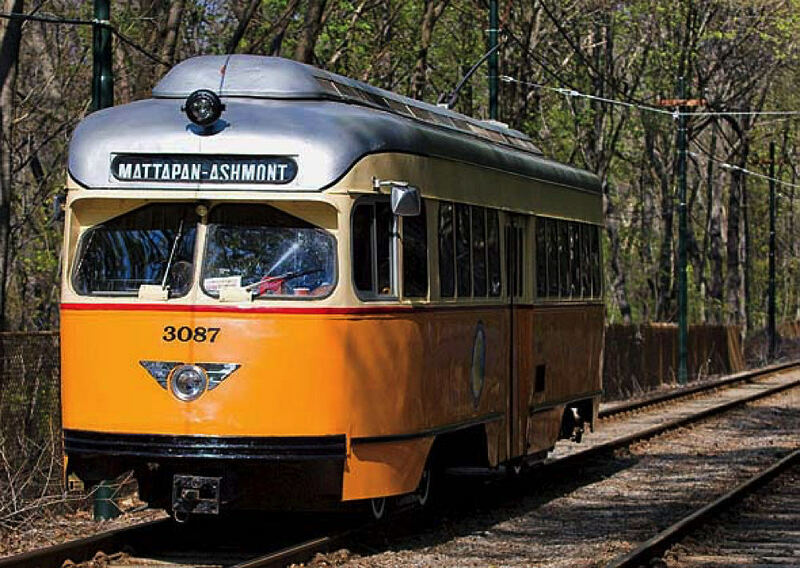 The historic Cedar Grove Cemetery  looms up quickly, and within a mile is the Butler Street stop for the MBTA’s Ashmont-Mattapan trolley. 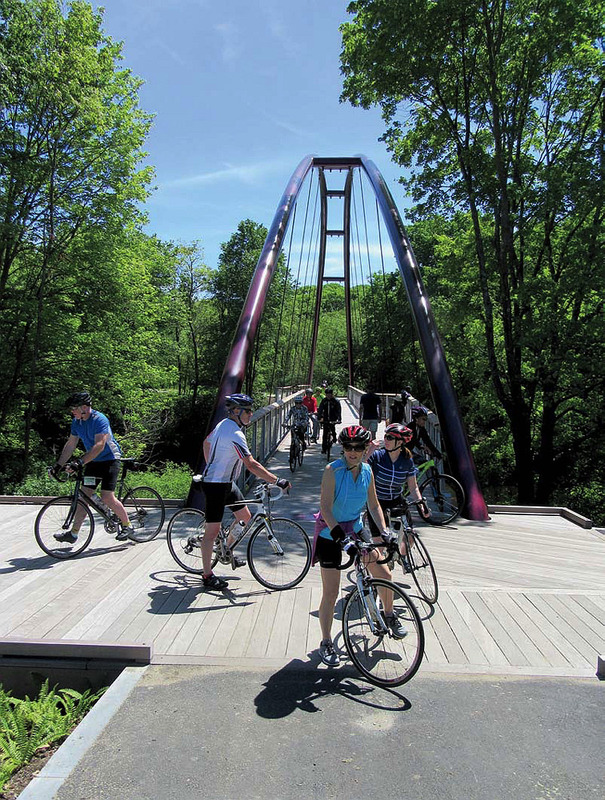 The greenway returns to Boston over the “basket-handle-style” Harvest River Bridge. 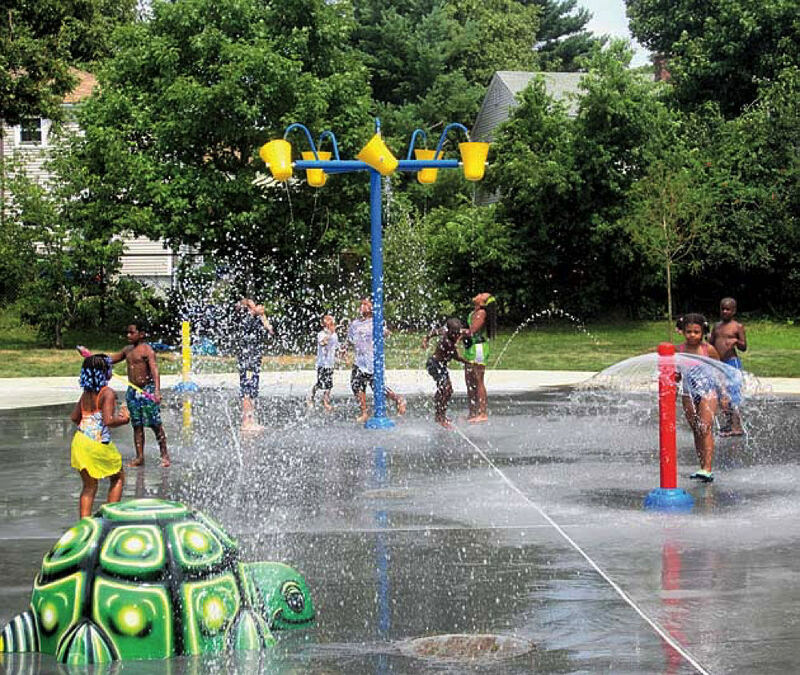 Completed last year, it connects cyclists to Ryan Playground, where shady spots and a seasonal wading pool cool anyone in need of relief. The bridge ends in Mattapan Square. Try Brothers Deli and Restaurant for hot meals or the Le Foyer Bakery  for Haitian-style sweets. Intrepid riders can follow the greenway another three and a half miles—although not always on a contiguous or car-free path—from Mattapan’s Blue Hill Avenue to Fowl Meadow, which is in the Blue Hills Reservation. Along the way are the Martini Band Shell, a site for summer concerts, and the Fairmont Street business district.